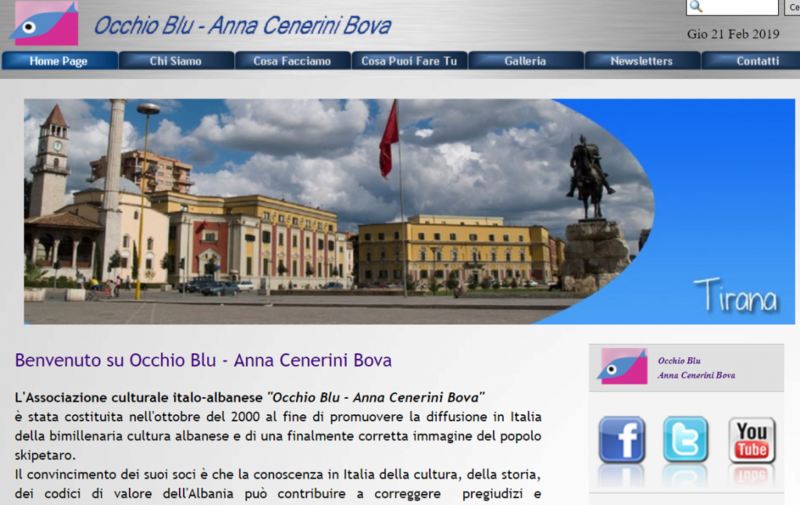 (Rome, 11 March 2019) The deadline has been extended until 30 June 2019 for the € 2,000 award offered by the Italian-Albanian Association “Occhio Blu – Anna Cenerini Bova“ in collaboration with UNIMED – Union of Mediterranean Universities. The prize will be assigned to young Italians or Albanians residing in Italy who are engaged in the development and promotion of cultural relationships between Italy and Albania. The award is named after the founder of the Association Anna Cenerini Bova, that was founded in October 2000 for the purpose of promoting the Albanian age-old culture in Italy and spreading a faithful picture of the Albanian people. Its members believe the knowledge of the Albanian culture, history and values in Italy can contribute to fight prejudices and disinformation. The Association would encourage the collaboration and integration between Albania and Italy as well as Albania and the European Union, with the prospect of stabilisation and mutual progress between Europe and the Balkans. For further information have a look at the call for application.